Hope, you had a wonderful weekend. 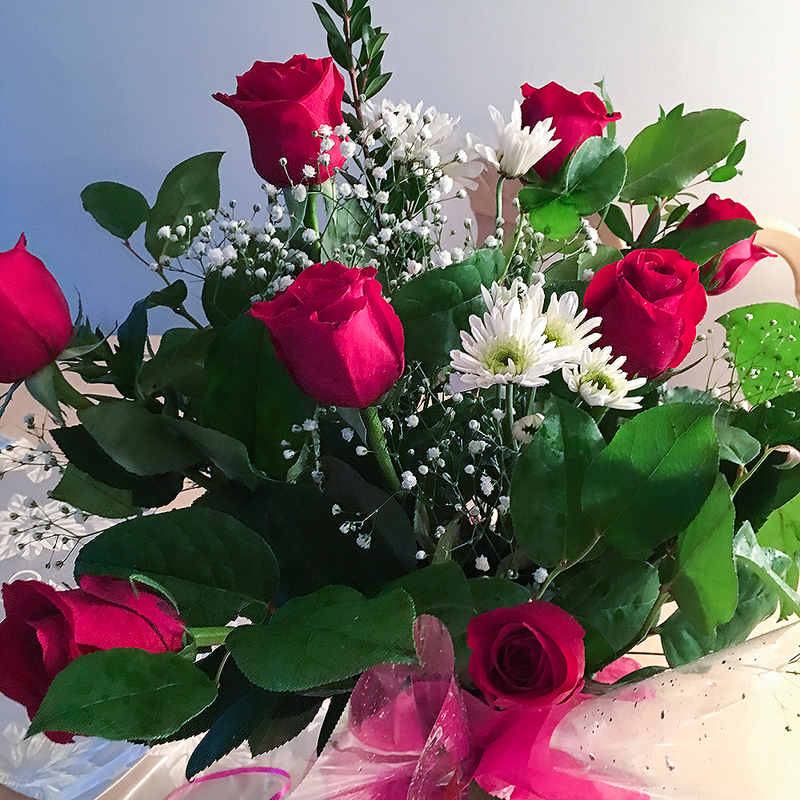 I know, it's been 2 weeks since Christmas, but I still decided to show you what I got for this holiday: Valentino bag, Apple watch, and gorgeous red roses. You may remember, I'm absolutely obsessed with bags so you can imagine how happy I was to see this Valentino bag. 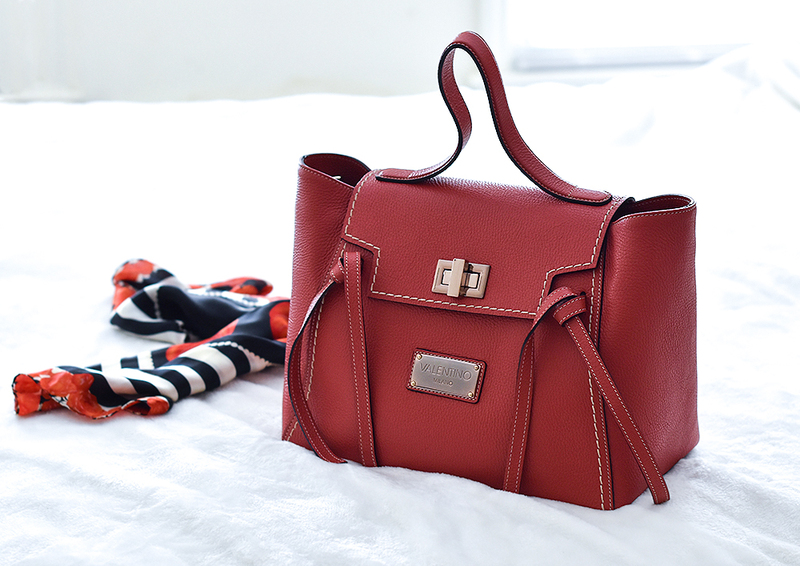 It's quite big and specious, that is great, because I usually buy smaller handbags, and this specious bag was a perfect addition to my small collection of large bags. I also loved its unique color. While Valentino bag was kinda expected since I'm obsessed with bags, this Apple Watch was a quite surprise to me. I'm not a big tech-y person so I had no idea what to do with it, haha. But after I figured out all the features, I was very happy with this present too. And no matter it's holiday or any other regular day, I love fresh flowers and I almost always have them in my livingroom. And these beautiful roses were nice addition to our holiday decor. Wish you all a wonderful day and see you on Wednesday here, on the blog. Loved the bag, it's really beautiful, elegant and feminine! I also loved the watch, very tech-y, and I think helpful - although I am like you then, also not that tech-y! But it's a lovely present and glad you got into it! Hope you have a lovely week, dear Nina! Thanks for sharing your gifts. In love with your new bag and would love to try out that watch! Have a great week Nina! that bag *-* major love! That bag is absolutely GORGEOUS! I love the shape and it's a nice size, too! I also love your watch, too, and how it matches your rose gold iPhone! Such beautiful gifts, girlie! Thanks for sharing with us and I hope you have a wonderful week ahead! Wow you have some beautiful things. I would love that watch. I love your presents, Nina! 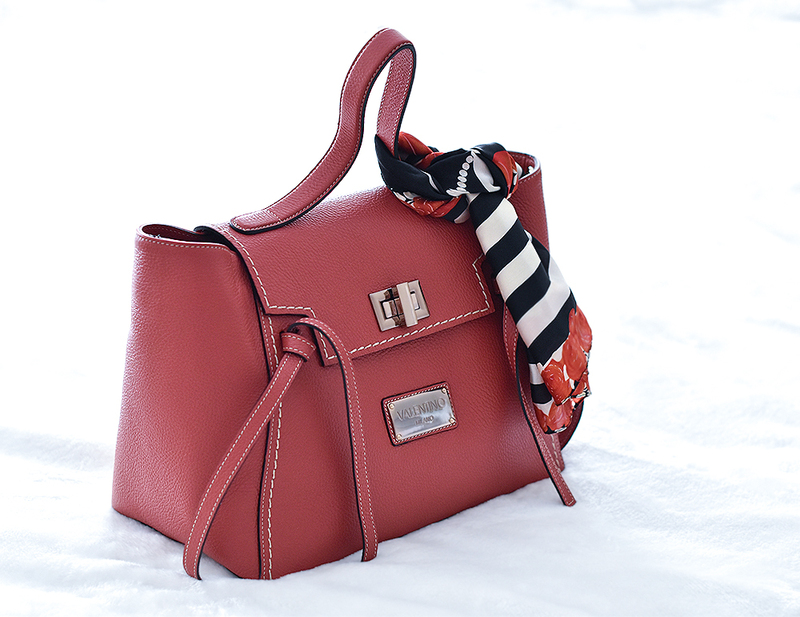 Your bag is to die for! I love your Valentino bag! You're one lucky lady. That Valentino bag is amazing. I have been wanting to try the apple watch! Lucky girl!! What amazing gifts! Your bag is stunning and I am dying for an apple watch. Amazing presents! Such a beautiful bag! What a merry Christmas you had! Love that bag. I am so envious of your new Valentino bag. It looks so good! I love a red bag. Enjoy it. It is a beauty. I'm so in love with that Valentino bag! Really nice presents you've got! Love your Valentino bag! It is beautiful and looks like Céline!! Gorgeous bag! I bet you will get lots of use out of it! That bag is absolutely gorgeous, cute flowers too! Such great gifts! That handbag is beautiful! Beautiful gifts! 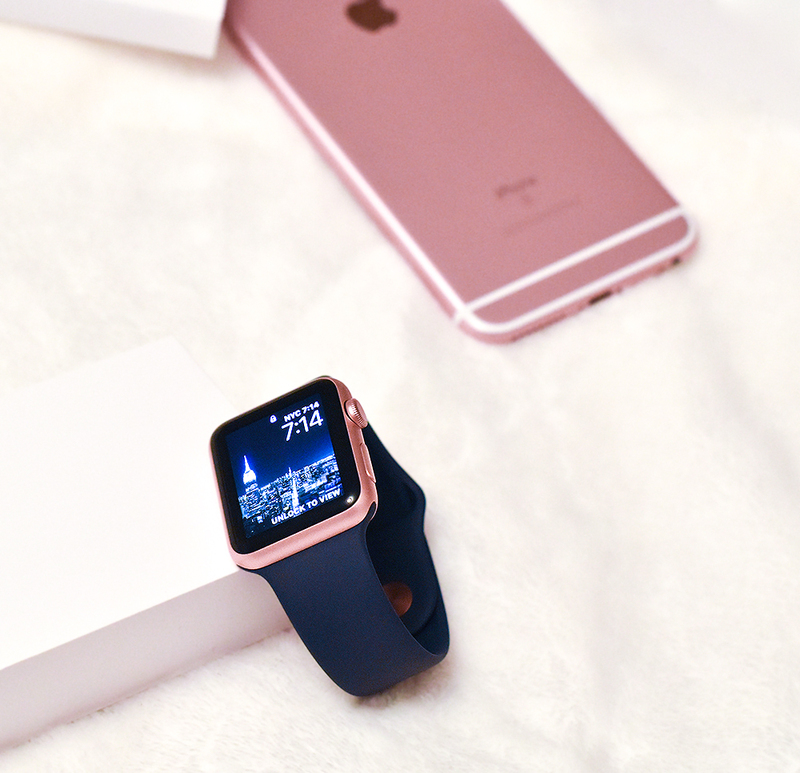 I love the rose gold on the Apple watch. So chic! Love that bag! What a pretty color! That bag is goals oh my goodness! Wonderful gifts you got! Wow! What a lucky girl! That bag is so stunning!